CA Design has become a go-to store for contemporary homewares, which are designed and produced by our Norweigan friends, Universo Positivo. Their latest offering of homewares boasts a number of meticulously crafted, solid oak pieces for the kitchen area - always designed with a flexible approach to living and pared-back aesthetic in mind. The beauty of these pieces lies in their simple, functional and sleek style - combining a body of smooth solid oak, with lacquered metal joists (which come in monochrome as well as a pop of yellow). Our favourite pieces are the Replenishment rack in the top image and the bar cart (above). We also have lots of tea towels made in France with handprinted designs. We have numerous handprinted cotton and linen tea towels including our favourite, Utensils. 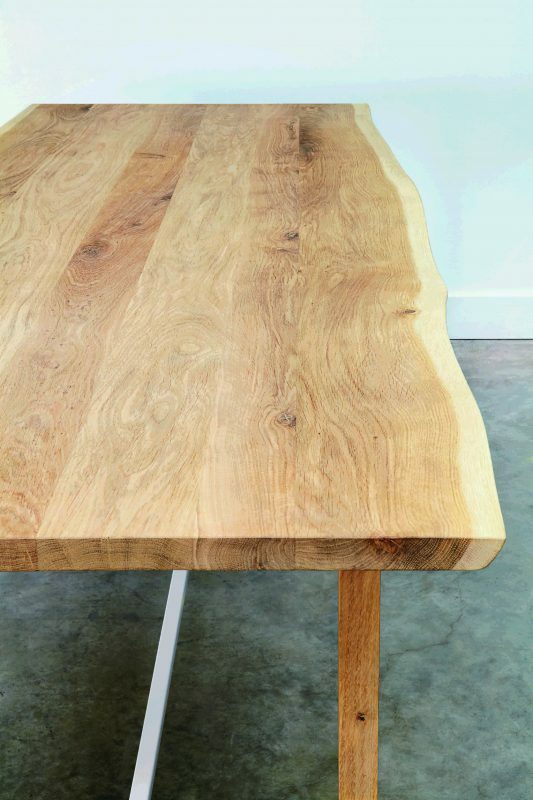 Many of the oak pieces have an imperfect, natural beauty to them such as the Squeeze table.
. Please do visit us at 23 Dunville avenue, Ranelagh, Dublin 6 or call 01 5143540. We are open Tuesday - Saturday: 10am - 6pm.